All winter long, the parsnips were caramelizing under ground and under snow. I planted these parsnips late Spring 2013 for harvest now. Lovely to spy their feathery, deep green tops in the early spring garden. 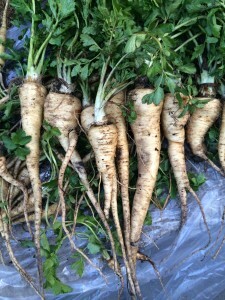 Parsnips are related to carrots, only sweeter and much more deliciously flavorful. Before the potato was brought from the New World to Europe, parsnips were immensely popular in everyday dishes from baby food to stews to chips to cakes. The Romans adored parsnips, considering them a great delicacy, and used them to make cakes. (Mark Bittman in How to Cook Everything Vegetarian has a recipe for parsnip cake with fresh grated nutmeg and a not-too-sweet buttercream frosting (p. 852). I will let you know how it turns out.) Sadly parsnips are ignored and unknown now. I am roasting mine because roasting condenses all the sugars and flavors. It’s also nice to roast carrots with parsnips for your Easter dinner. Parsnips are wonderful steamed until soft and mashed with butter. You can also add sautéed spring leeks or onions with them for a savory dish. And parsnips are relatively easy to grow. 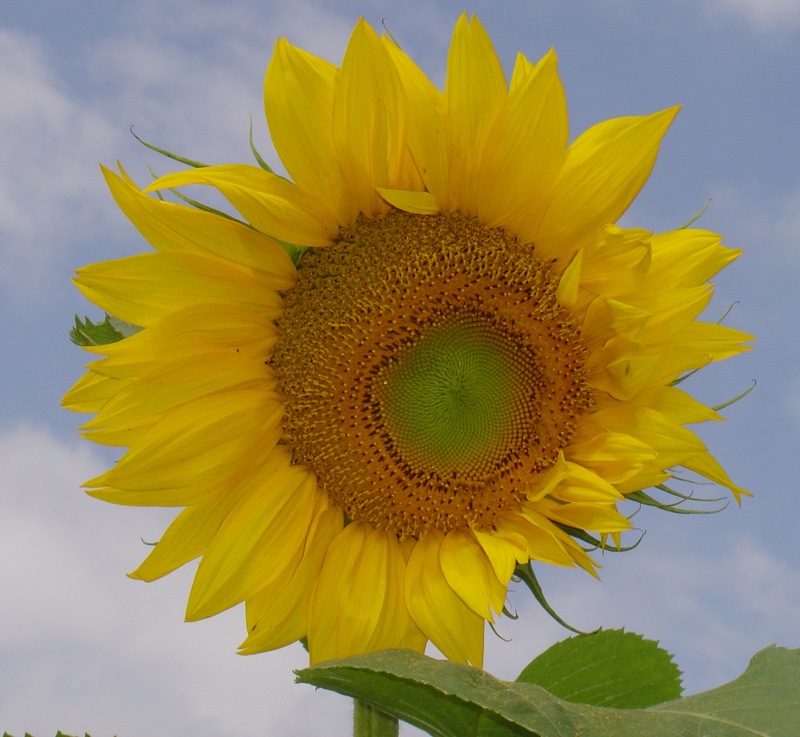 I will be planting my seeds for the Spring 2015 harvest next month in May. Plant, water, enjoy the pretty foliage, and let them do their parsnip thing. This entry was posted in parnip. Bookmark the permalink.